A Dynamo light is an upgrade you should consider for this spring! A dynamo light is an upgrade you should consider for this fall! Being visible is paramount to staying safe while riding and there are many different types of lights available to help with that pursuit. But, the king of them all is the Dynamo light. Dynamo lights use a bicycle mounted generator for power, staying lit while riding at night and low visibility times of the day. Read on to learn how Dynamo systems work and why they are so dependable. With no battery, you generate power with your motion. For a Dynamo light to work you need to attach a generator to your bicycle. Generators are rated for either 3.0 watts to power both a headlight and taillight, or 2.4 watts to power just a headlight. The two main generator types are hub type and bottle type. The hub type is built into a front wheel and generates power as the front wheel spins. Bottle type generators mount onto a bikes frame or fork. Bottle generators have a small wheel that rests against the tire and generates electricity as the tire spins the wheel. Typically, the hub type generators have lower resistance than the bottle type and won’t wear out a tire as quickly. Bottle type generators are typically less expensive and can also be installed on your bike without rebuilding or replacing the front wheel. Another benefit of bottle type generators is that they can be disengaged during daylight hours so you can ride resistance free. That being said, as hub generators become more efficient and less expensive, the bottle generators are becoming less common. Of all the light types on the market, high output LED headlights rule the roost. These HLED lights use very little power to deliver a ton of light. While we are talking about light, most headlight’s power are measured in LUX. The differences in power can be seen below. 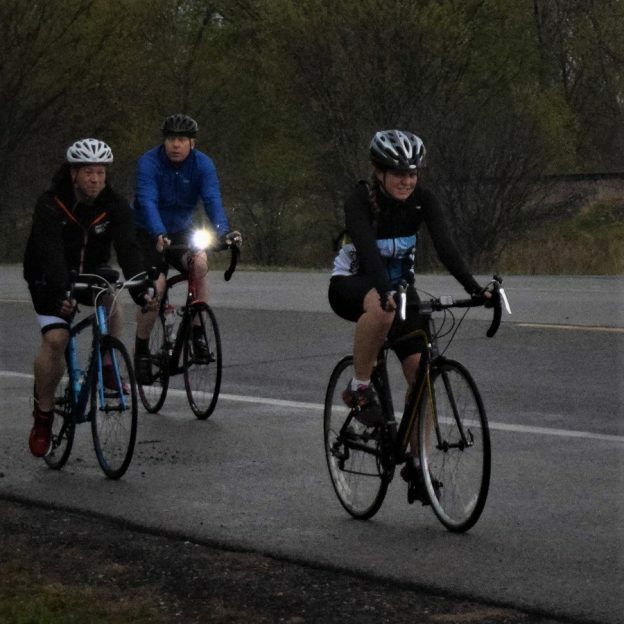 In addition to light while riding, most headlights have a capacitor to store power and allow the light to shine for a small period while the bike is stopped. Rear lights use LEDs and blink while you ride. They can be mounted to the bicycle’s chainstay, seat post, or fender. 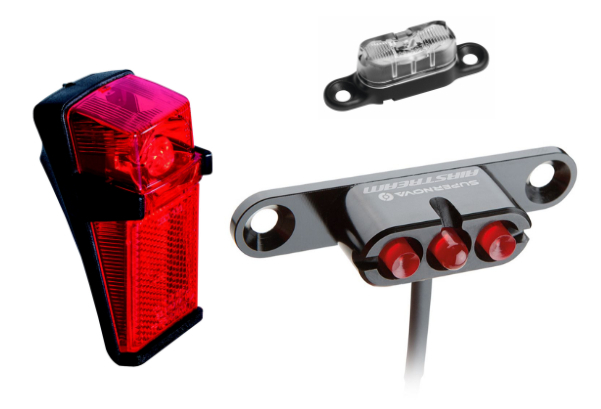 These rear lights are typically wired from the front light, across the bike, and to the rear light. While it’s easy to run wiring through a bike built to accommodate them, it is difficult to cleanly run wiring on bikes not made for them. Lighting in general is one of the most important aspects of safety on the bike. While you don’t need a dynamo lighting system to be safe, they do offer some advantages over battery powered lights. First benefit is you can jump on your bike and go because you never need to charge a dynamo light like you do a battery system. Also, dynamo systems can be upgraded to charge products via a USB port. Finally, Dynamo lighting systems enjoy the feature of being extremely durable. if you enjoy our articles, please sign up as a HaveFunBiking member to receive exclusive articles in our weekly E-Mag. This entry was posted in News and tagged bicycle generators, bicycle lights, bicycle rear lights, bicycle visibility, bike blinkers, bike generators, bike head lamps, bike headlights, Bike lights, bike rear lights, bike visabiity, biking at night, cycing lights, cycling at night, cycling visibility, dynamo, dynamo lights, generator lights, headlamps, headlights, night bike, night bikeing, Night riding, rear lights on August 18, 2018 by John Brown.